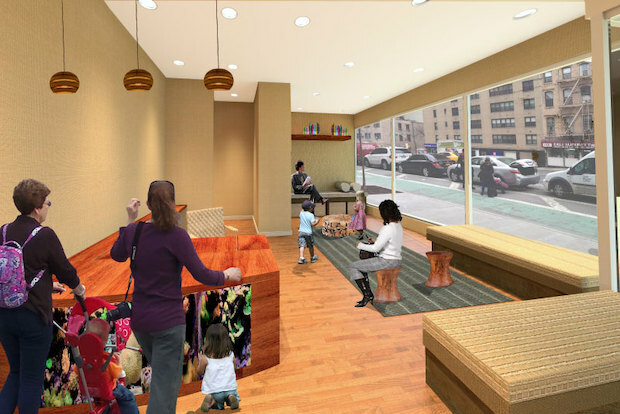 GRAMERCY — A private school for babies is opening this fall in Gramercy. Explore + Discover, an eight-classroom learning center for children from 3 months to 2 years old, will launch Sept. 8 with an outdoor play space, said Renee Bock, the chief academic officer at the school's managing company, K3 Learning. Tuition will be $2,791 per month for children who attend five days week, which covers teachers who all have a master's degree in early childhood education. The teachers, many of whom will also have musical training, will provide basic care, such as feeding and diapering, along with challenging kids to explore the world. “There isn’t anything out there that focuses on babies,” said Michael Koffler, who owns K3Learning, which also manages Sunshine Developmental Schools, which serves children with disabilities in all five boroughs, among other for-profit specialty schools. “We’re specializing in the world of babies." The Gramercy Explore + Discover, at 444 Second Ave. near 26th Street, will be the first of 26 similar learning centers that will open across the city over the next few years, Koffler said. Future locations will be in Manhattan, Forest Hills, Long Island City and Riverdale, Koffler said. The 5,000-square-foot Gramercy center, which will serve roughly 80 children, will include an outdoor space with a sandpit and water play area, along with outdoor instruments like a large xylophone. Inside, one of the highlights will be the oversized bathroom sinks, which will be designed to encourage children to interact with water. “Teachers will be constructing the curriculum with the children,” said Jacqueline Marks, director of the Gramercy location. “Let’s say the teachers notice that the child keeps going back to the same basket of rocks day after day. They’ll watch to see what they’re doing with them. Are they knocking them together or lining them up? “Teachers will see what the infants are interested in and will use that as clues for how to provide more opportunities to further explore,” she continued. Within six months of opening, Explore + Discover will begin to integrate foreign languages, starting with Spanish, into the children’s curriculum, Koffler said. Classes will range in size from eight to 12 kids, depending on the age group, and there will be three teachers in each class. Families that don't want to send their kids full-time can pay $1,990 per month for three days a week or $1,399 for two days, according to the school’s website. “We take the kids seriously — that’s what’s unique about us,” Bock said.